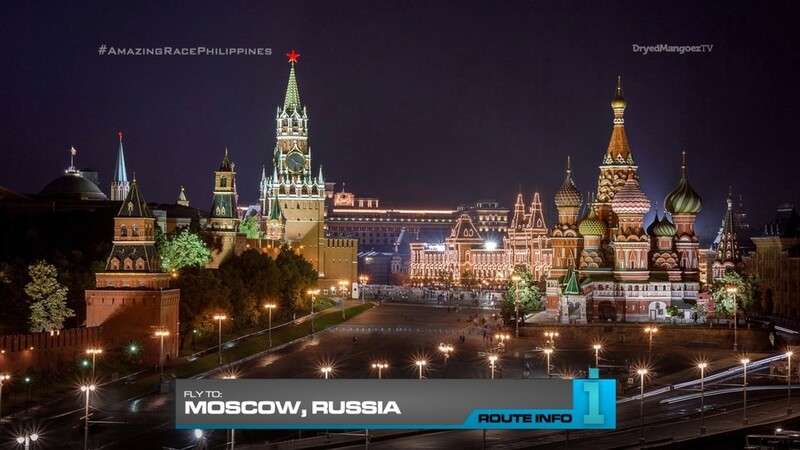 The nine remaining teams continue their Race as they open up the first clue telling them to fly to Moscow, Russia! Teams will arrive via an Aeroflot flight at 5:35pm. 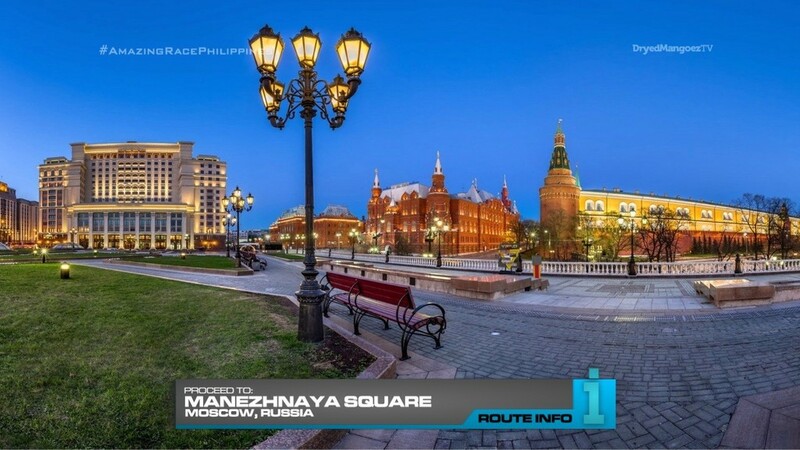 Once in Moscow, teams must find Manezhnaya Square. And here teams will find a Double Yield Board! Teams with a Super Yield may use their power here. After checking in at the Yield, teams must figure out how to book plane tickets to the city of Kazan! It will be a scramble for the best possible flights (with Yielded teams possibly missing out). But teams will end up on one of two flights arriving either at 8:05am or 9:55am. 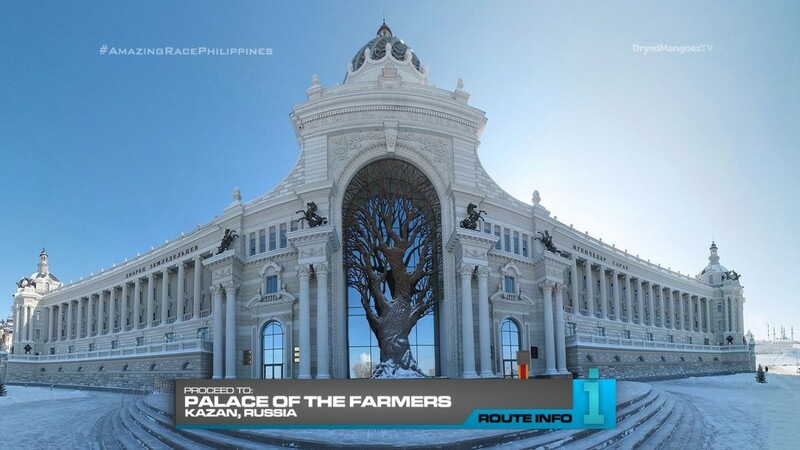 Once in Kazan, teams must make their way to the Palace of the Farmers or the Ministry of Agriculture and Food of the Republic of Tatarstan. 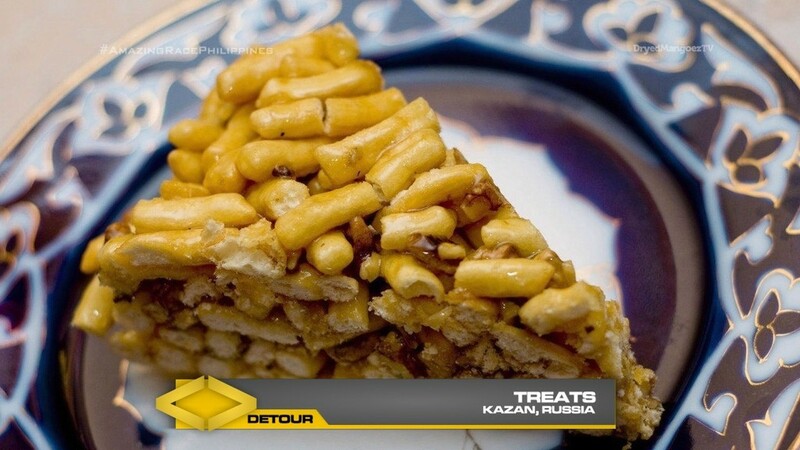 That clue directs teams to a Tatar Village on the outskirts of Kazan where they will find the Detour: Milk or Treats. 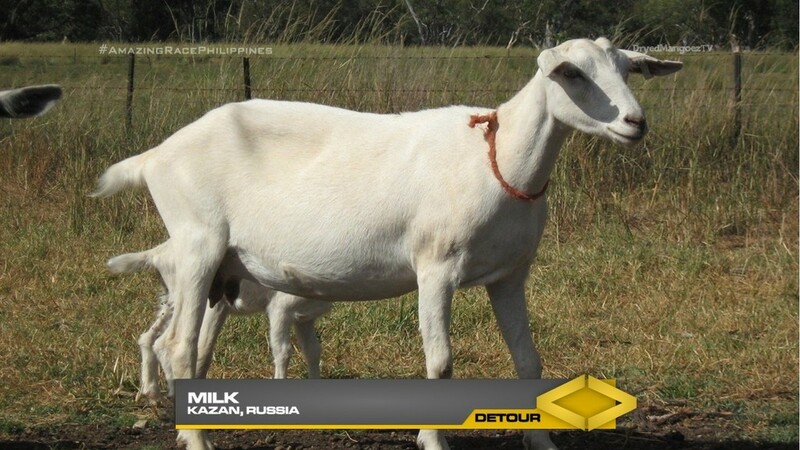 In Milk, teams must milk goats to get enough to fill a bucket to a marked line. In Treats, teams must make a batch of chak-chaks or honey dough balls (50 each team member) to receive their next clue. They will also receive already cooked chak-chaks to take with them and enjoy. Before leaving the Tatar Village, teams must check-in at the Double U-Turn board! 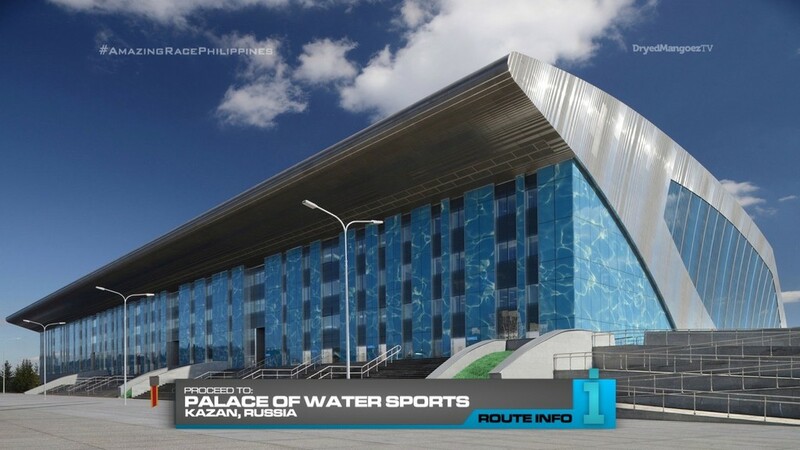 After the U-Turn, teams must find the Palace of Water Sports where they will find the Road Block! Who is in sync? This was the venue of the 2015 FINA World Championships for swimming. For this Road Block, teams will immerse themselves, literally, in one of the events held here: synchronized swimming. Teams will learn and perform a synchronized swimming routine to the satisfaction of the coach in order to receive their next clue. 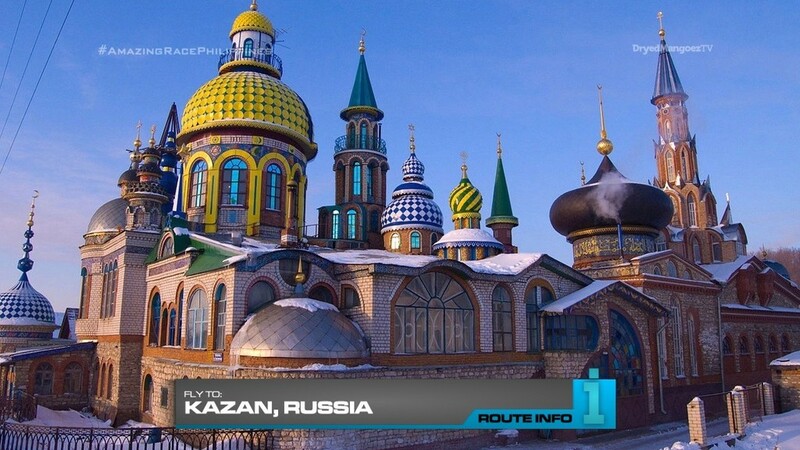 And that clue points teams to the Pit Stop: the Kazan Wedding Palace. The first team to check-in here will win P200,000 thanks to our good friends at Shell V-Power Nitro+. This should be a great Leg. The Moscow Route Marker is a logistical necessity to allow an equalizer for the teams on the way to Kazan. It will also be interesting to see teams actually booking tickets on their own for once. And it’ll be okay here when it wouldn’t be on other Legs because of the time they arrive in Moscow and the types of flights available. The Yield should make things interesting as a Yielded team may get pushed to the 2nd flight. This may be a simple, straightforward Leg. 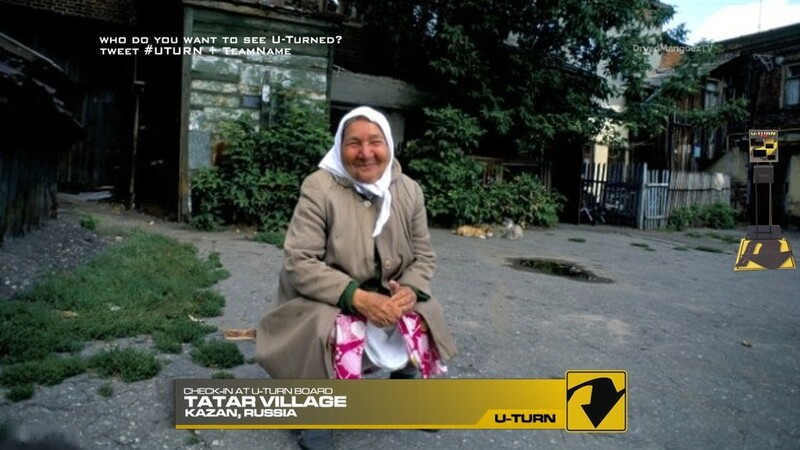 But the Detour in the nice Tatar Village should be as awesome as the TAR17 babushkas. It will be a nice little cultural experience for the teams. And the tasks themselves aren’t too complicated, but they could be tedious. Plus the simplest tasks are always the ones that teams mess up on the most. Good spot for a U-Turn. The Road Block was something I specifically penciled in for Kazan after the recent FINA championships. A synchronized, actually, any swimming task can always provide some fun drama. Even more when it involves teams needing to gracefully perform a routine. Synchronized swimming is a task certainly repeated on TAR. So this might actually be a nice Duel Duel spot too. Have teams race each other. Swimming is definitely not easy and will be very exhausting. So that is another great possibility here. 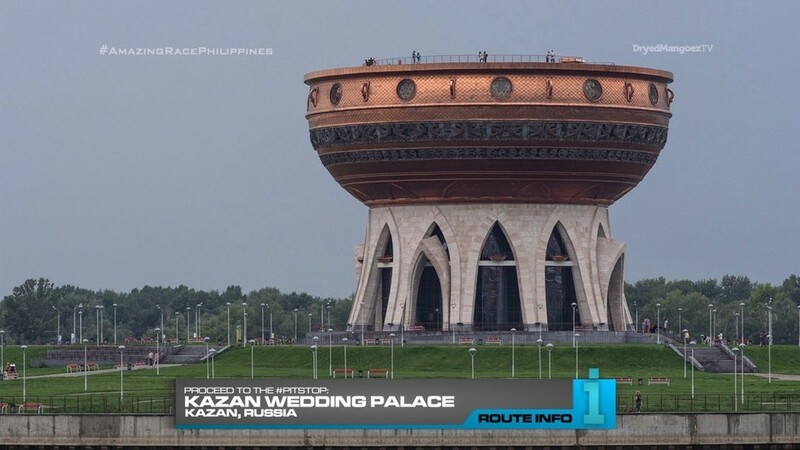 The Kazan Wedding Palace looks like a great location for a Pit Stop. Overall a solid Leg that should provide some nice competition.